Are you building a service-based business? It doesn’t matter if you’re a real estate agent, a refrigerator repairman (or woman) or a therapist, these tips will help you to grow your business fast. Are you focused on your own growth and expansion or are you too busy checking out your competition? Do you know where you’re headed and what the future looks like for you and your business? Business and marketing plans are great but you really need to know how you want to feel in your business not just in the beginning but 10 years from now. A great book to read in the beginning is “The E-Myth Revisited” by Michael E. Gerber. When you’re getting your business off the ground it can feel daunting and overwhelming, focus on one step at a time and always show up as the next level version of you. Even if in the beginning you’re making no money, show up as the person that you want to be. What does your business look like 1, 5 and 10 years from now? I can tell you I see so many new business owners burn out in the first few years because they’re saying “Yes” to everything, they take every job they can and then they get so busy working in their business that they can’t work on their business. Give yourself time to be innovative and creative. In the beginning let people know what you’re up to, reach out and offer to help in exchange for feedback or testimonials. Turn people into loyal, raving fans and you’ll have an army of cheerleaders standing behind you rooting you on and referring you to everyone they know! You want to become their “go to” resource, you want to become their favorite! It’s more than just building your network it’s about building your community. We all want to feel like we’re a part of something bigger than ourselves, if you can create a community, you will secure the long-term success of your business. I go to this cute little sandwich shop down the road from my house, every time I walk in the owner greets me as if I’m her best friend, the people who have lunch there stop to chat with her, she’s created a loyal community. People are busy and easily distracted, they forget so you have to be constantly showing up to remind them. I feel like this is an area a lot of new business owners struggle with, especially women who’re afraid of putting themselves out there and being seen. Can I find you on a Google search? Are you showing up on social media? Are you using hashtags to target your market? Are you showing up on video? Are you sharing resources that will help your clients? 4. Do you stand out among your competition? Every industry is saturated and with people being inundated with information at all times, how do you stand out? By positioning yourself as the expert and becoming their “go to” person you make the competition irrelevant and you do this by building a personal brand. If you plan on selling your business at some point this may not work for you but if this is YOUR business with your name and your reputation, then building a personal brand is imperative. People want to buy from someone they know, like and trust. 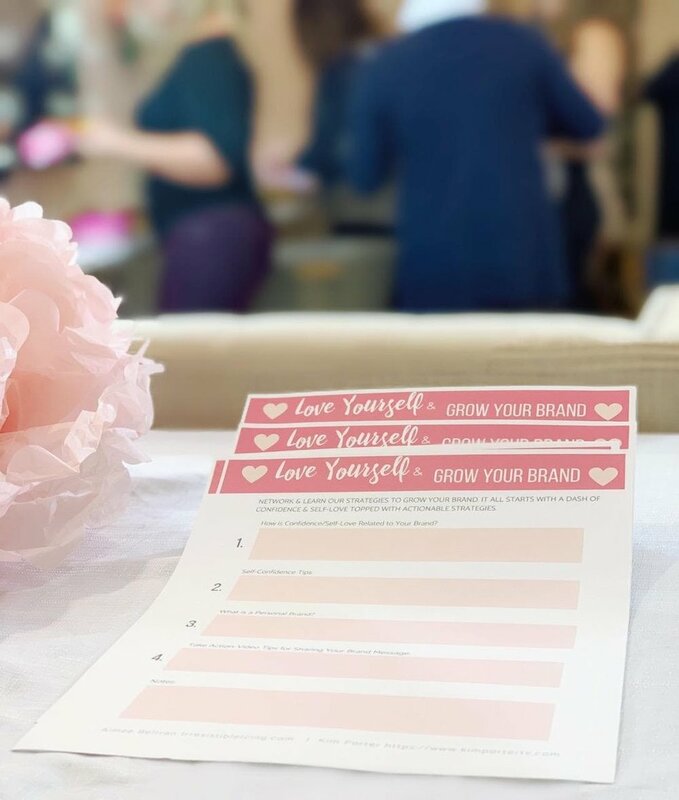 Your personal brand is your story, your message and your mission along with your unique gifts and personality. It’s what makes you different and it’s what will help you to stand out from everyone else. If you need help growing your service-based business go to my Contact page and let’s see if we would be a good fit for each other! 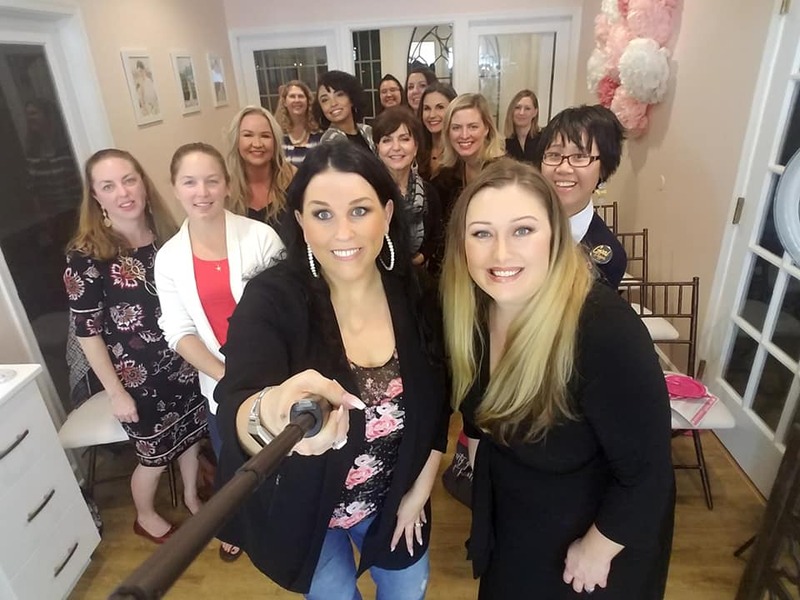 Aimee Beltran of Irresistible Icing and I had the best time hosting our first community and networking group for women in Hampton Roads. 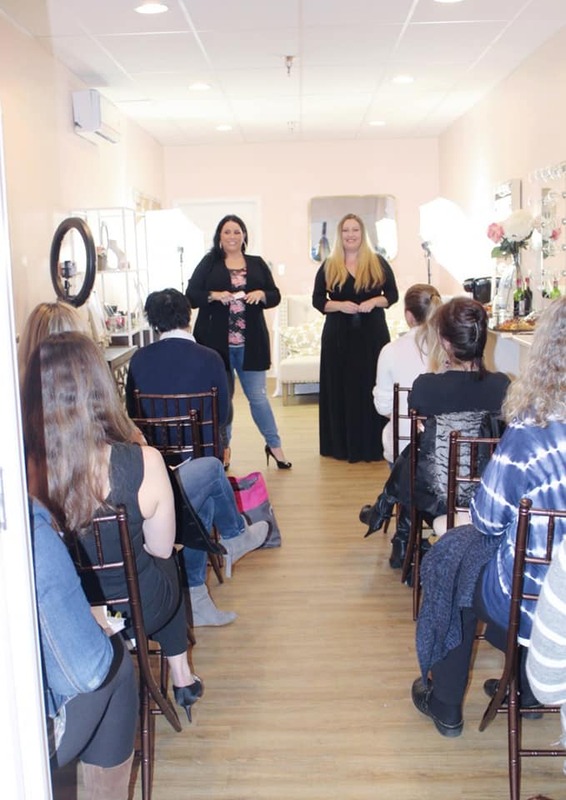 We wanted to help women to feel more confident, we talked about how to build a personal brand and why it’s important and gave tips on how to finally start using video for your business. 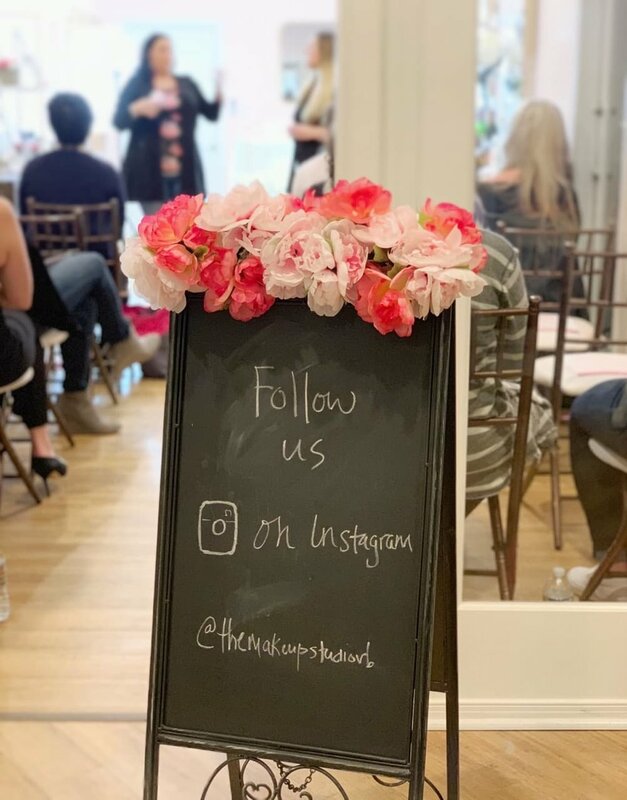 I would like to thank Anna Aragon for her gorgeous food and for her photography skills and our sponsor Jennifer Barnes with Young Living Essential Oils for her beautiful diffuser and oils that made the room smell amazing! Kim Porter TV Interview with Kim Hudson, Founder of "Your Natural Guide"
Have you ever felt the nudge to do something big but you weren’t sure if it was right for you, if you should really jump? I recently had Kim Hudson the founder and publisher of “Your Natural Guide” Magazine in Hampton Roads, VA in to talk about how she made a decision that would change her life and help her find her happy! Look for @yournaturalguide on Instagram and Facebook. If you’re someone (or you know someone) that has an inspiring story to share email me at info@kimportertv.com. Not Getting the Support You Need? I posted this on my Instagram along with this caption, "Don't worry if you aren't getting the support or encouragement that you wished from friends and family, sometimes you have to show people the big picture for them to understand your vision." If you are a creative person, chances are you've done a few different things in your life and maybe those closest to you are not always your biggest cheerleaders. Please remember, it is not the job of our friends and families to support every little thing that we do. It can sometimes take a lot of experimenting and trying on different hats to find what works, show people with your actions and words what your intentions are. If necessary, find support outside of your circle of friends and family, be super clear about your goals and vision and stay on your course. Maybe they can't see the big picture yet but in time you will show them!